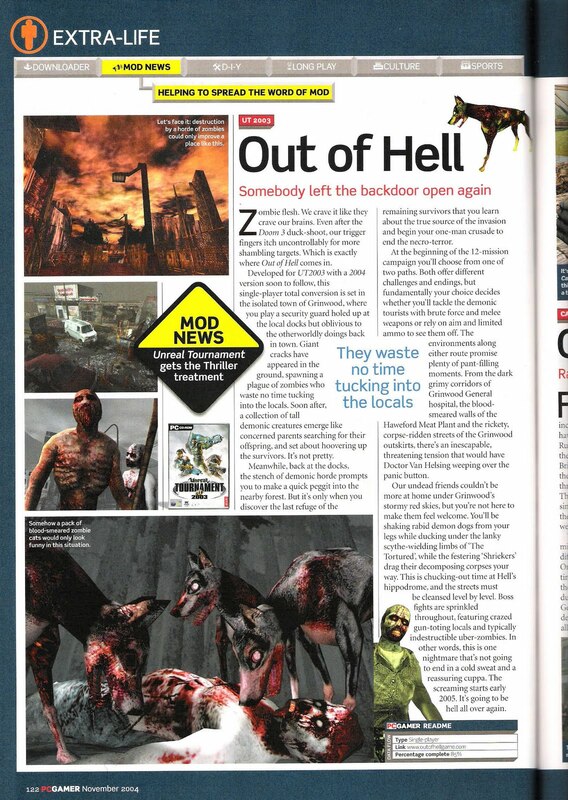 PCgamer & PCgamerUK did a great 2-page write-up of Out Of Hell! I got a lot of emails from people who had found out about the project through those magazines, so the exposure was absolutely fantastic! I actually went to several bookstores to find this issue and eventually bought it from a pharmacy. (Go figure!) It was a great feeling to see my work appear in an actual issue like PCGAMER! I used to read these game magazines all the time but never would have imagined that my name would be in one of them! Holy crazy!